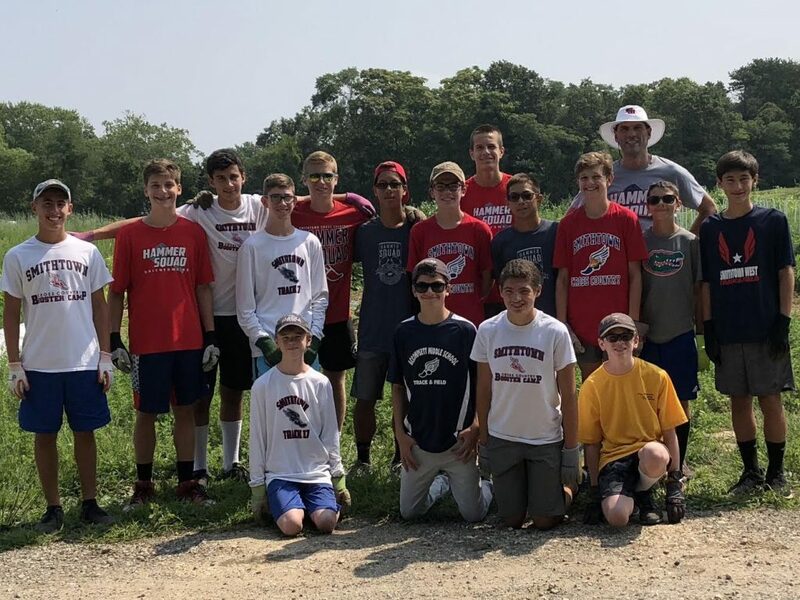 After practice on Monday, August 27, members of the Smithtown east and west high school boys’ cross country team, led by Coaches Peter Schieck and Mark Jackett, headed down to the Island Harvest farm in Brentwood to volunteer for a couple of hours. Island Harvest is the largest hunger relief organization on Long Island, serving more than 300,000 Long Islanders annually, including adults, children, families, seniors, and veterans, through their network of approximately 570 food pantries, soup kitchens, and other emergency programs. 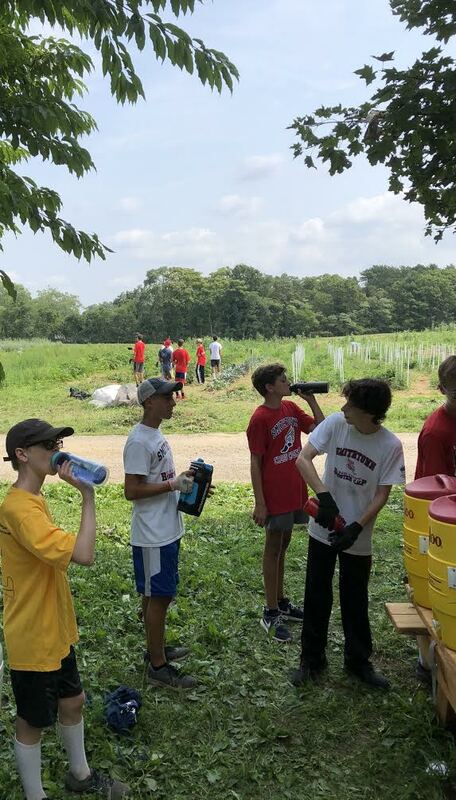 The boys learned about Island Harvest from staff member Hillary Hess, and then pulled weeds in between the rows of vegetables, as well as harvesting some zucchini and eggplant. 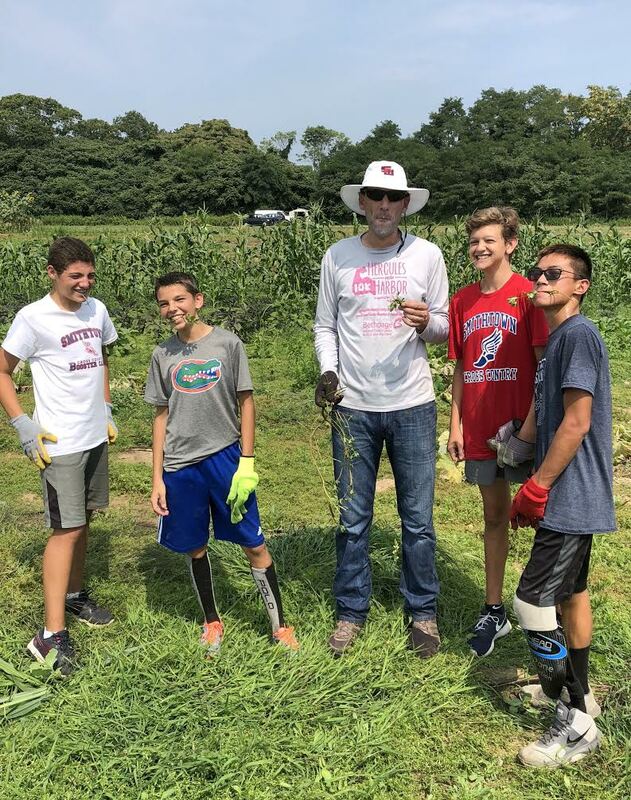 It was a hot day, but the boys learned a lot and had fun serving their fellow Long Islanders in need! Great job, boys!